Dewhurst Torevell directors Alan and Martyn Torevell have been recognised for their outstanding support and commitment to the arts at a special event held by Arts & Business North West . The father and son were nominated separately by Chetham’s School of Music (Alan) and the Manchester Art Gallery (Martyn) as Cultural Champions and were honoured at an event held on Friday 27th April by Arts & Business. The ceremony was held in Chetham’s Baronial Hall and in a speech Alan Torevell commented on how proud he and Martyn were to be recognised for something that gave them a great deal of pleasure. 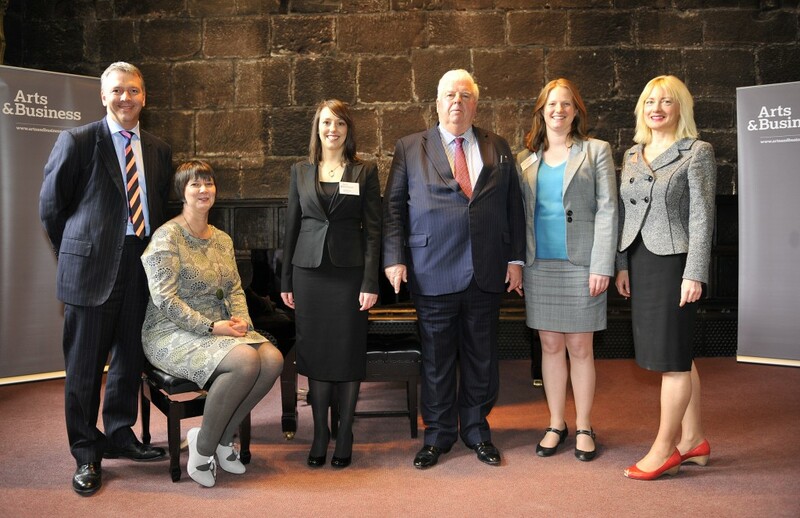 Since its inception in 1997, Dewhurst Torevell has been a strong supporter of Chetham’s and the Manchester Art Gallery. “The contribution that both Alan and Martyn have made to the cultural sector is outstanding. We were delighted we could celebrate their commitment through Arts & Business Cultural Champions and we were honoured that Alan was able to give a speech to guests about what motivates him to give. We very much hope that his story and that of his son’s inspires others to give and helps us to encourage a new generation of philanthropists”.